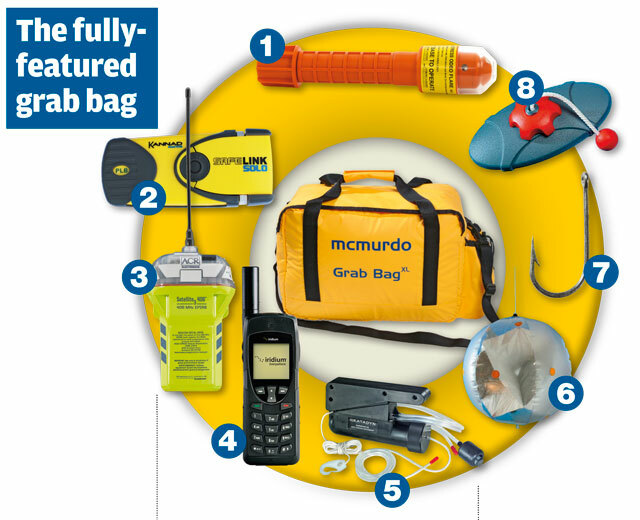 Grab bag, ditch bag, panic bag – whatever you call it, it’s a vital bit of kit to have prepared and ready to take with you in the event of an emergency, be it a serious fire, sinking or medical evacuation. Whatever your budget, there are some items that you simply must include in your essential grab bag. Obviously, what you have in the bag depends on the type of sailing you’ll be doing and how much you’re willing to spend. For coastal sailing and cross-Channel hops, you’ll need very different contents than if you’re doing a transatlantic passage. While your liferaft is being serviced, it’s well worth heading down to the service centre while yours is inflated, to take a look and familiarise yourself with both the raft and also its contents. While you’re there, the centre will normally let you put some personal items in the raft’s survival kit – medication or a spare pair of glasses, for instance. What can you use as a grab bag? Ideally, you want something that will float and keep the water out. Several are commercially available. Alternatively, a dry-bag of the roll-top variety is a good idea, especially if you keep it around 70% full with a good amount of air-space at the top. Others, like a rigid flare canister, have advantages. Steve Callahan, who spent 76 days adrift, recommends having a 25ft floating line attached, so the bag can float free but stay tethered. It’s worth putting some thought and training into your abandon ship drill. In the darkness on a sinking yacht it’s easy to get disorientated, so assign each crew member a task – something to grab on their way out of the boat. For instance, assign one person the EPIRB, another the ship’s log, or drinking water, another the flares and grab bags. Include other ‘nice to have’ items if there’s time – things like cushions, money and warm clothes. But the grab bag should contain the minimum to allow you to survive that you can still manage to manhandle in an emergency. Non-essential items can be grabbed if there is time. Include your house/car keys, passports, wallet, credit cards and mobile phone (pre-programmed with coastguard numbers) in the bag whenever you set off somewhere, and especially if you’re in foreign waters. Abandoning ship is bad enough – you won’t want the stress of arriving somewhere without documentation. Ships’ papers are also a good idea. Essential to communicate with the rescue services. 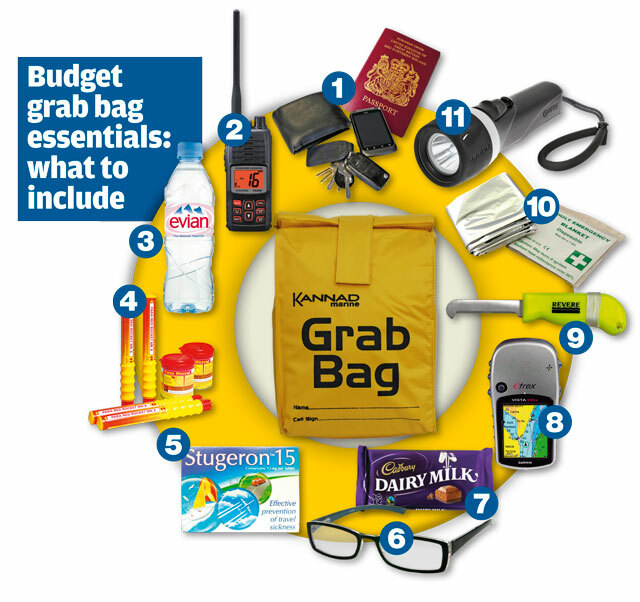 Keep yours in the grab bag, along with a set of spare batteries – you can always take it out of the bag for routine use if you need it approaching a harbour. A DSC-enabled VHF with integral GPS would be a great help. Absolutely essential. Even though it’s heavy and takes up lots of space, don’t skimp on water. Most liferaft survival packs contain at least some water in pouches, but take enough for your full crew for at least a day. Most people have their separate flare box to hand ready to take with them into the liferaft, but it’s worth placing a few hand flares in the grab bag as well, in case you’re separated from the flare pack. Even if you’re not prone to seasickness while sailing, chances are you will be as soon as you spend any time in a liferaft – they are notoriously vomit-inducing. Seasickness tablets are a must, as well as any other medication you need on a regular basis, such as an asthma inhaler or migraine pain relief drugs. Pack a spare pair of specs so you can understand the instructions on the flares – you run the risk of losing your usual pair en route to the liferaft. Cheap, flexible plastic ones will do. Some sort of high-energy food, like chocolate, as well as something that releases energy more slowly, like a fruit/nut mix, is good for keeping energy levels and spirits up. If heading further offshore, then consider army-style survival rations as well. A handheld GPS will let you communicate your position accurately to a potential rescuer, as well as work out your drift rate. Don’t forget a spare set of batteries. A compact, waterproof chart might also help, as will a handbearing compass. Most liferafts will come with a knife included – but there can be no harm in taking another. Make sure it’s sheathed or is a safety knife so you don’t damage the raft. Essential for helping cold people warm up. They are not expensive, but could keep hypothermia at bay. Similarly, a couple of spare hats and gloves will help you keep warm. A good torch is important. Something waterproof and powerful is ideal – with spare batteries, of course. A strobe function is particularly useful. A pack of cards might help keep you entertained. A toothbrush and paste might help you feel better, as might a small pack-towel to dry off with. They’re not cheap, but as a non-flammable way of gaining a rescuer’s attention laser flares could be ideal. Battery-powered, they’re long-lasting and much less risky to deploy than their pyrotechnic cousins. 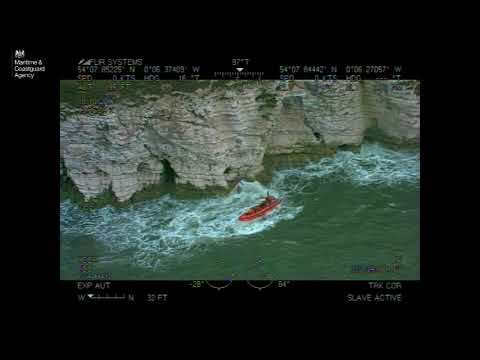 There are many Emergency Position Indicating Radio Beacons (EPIRBs) and Personal Location Beacons (PLBs) available, and these are your failsafe, best bet for a quick rescue wherever you are in the world. A GPS-enabled 406MHz EPIRB is the top of the range – choose a floating one – but a PLB will suffice, especially in coastal waters. PLBs are cheaper than EPIRBs, too. Make sure it’s correctly registered, though, or emergency services might waste valuable time trying to track your details down. 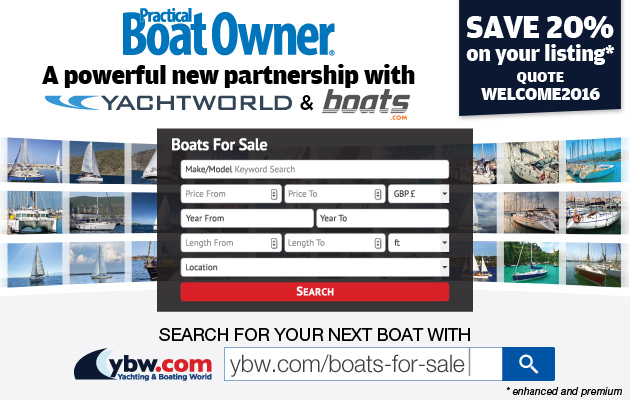 Long-distance cruisers may well already have one of these – it’s not worth buying just to leave in the grab bag, but you should add it to your ‘grab’ list when taking to the raft. The coastguard receives many of its mid-ocean Maydays via a satphone these days. If you want to ensure you won’t be without water, a handheld and manually-operated watermaker will let you make drinking water from seawater. Some way of making yourself show up on ships’ radars is no bad thing. At the lowest end of the scale, many liferafts include inflatable radar reflectors. At the other end is a SART (Search and Rescue Transponder) which will introduce a big echo onto nearby radar screens. Recently, AIS-based personal rescue devices have been introduced, and are another option. Fishing line, lures and a gaff to land fish might be essential hundreds of miles offshore, but for UK waters it’s almost certainly unnecessary – unless you want to pass the time waiting to be rescued. Pad any hooks to avoid puncturing the liferaft! The repair kits found inside liferafts are often laughable, with glue that needs 24 hours in dry conditions in order to cure. Consider packing a selection of Jubilee clips, some duct tape and a repair clamp such as the Barton Clamseal. You may not need these for coastal sailing where quick rescue is likely, but further offshore they could be invaluable. Callahan’s mini transat attempt ended mid-Atlantic when his boat, Napoleon Solo, sank. He spent 76 days adrift, finally being rescued by fishermen. He took water, food, flares, a spear gun and sleeping bag, and his raft contained a Solar Still to collect fresh water. His 121.5MHz EPIRB (now discontinued) failed to attract attention. 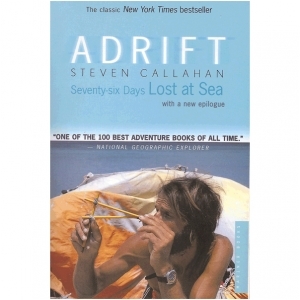 Read his account in 76 Days Lost at Sea. This intrepid couple spent 117 days in a liferaft and Avon dinghy after a whale sank their yacht in the Pacific. They salvaged some tins of food, a small oil burner, a chart, sextant and compass, rubber and glue to patch the dinghy, water containers, knives, plastic mugs and passports before their boat sank. 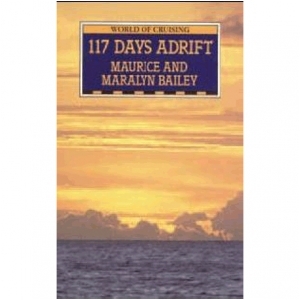 Read their account in 117 Days Adrift. The six-strong Roberston family survived for 38 days in the 1950s after whales sank their yacht. They lived initially in a liferaft and then in a hard dinghy. They grabbed some fresh fruit, onions, a tin of biscuits, a sail, oars, empty boxes, petrol, a sewing kit, and a first aid kit. Their raft contained a fishing kit and 10 days of food rations. 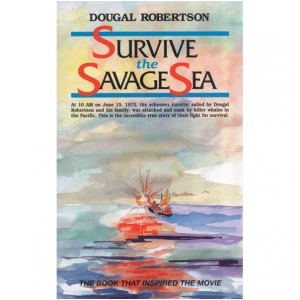 Read their book Survive the Savage Sea.